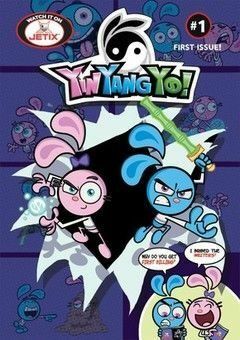 This show is two rabbit twins named Yin and Yang (Stephanie Morgenstern) and (Scott McCord) that train under Master Yo, a grumpy old panda who ends up being their father. They learn the sacred art of Woo Foo, a special type of martial arts that involves might and magic. They must work together to save the world from evil villains and forces that want to destroy, corrupt, or take it over. However, through all these adventures, Yin and Yang still portray stereotypical siblings; belligerently antagonistic but still ultimately caring about each other and working together when needed. Yin! Yang! Yo! Episode 63 – Yin! Yang! You! Yin! Yang! Yo! Episode 29 – Smoke and Mirrors / Yin-credible! Yin! Yang! Yo! Episode 9 – The Trouble With Two-Ni-Corns – Scarf It Up!